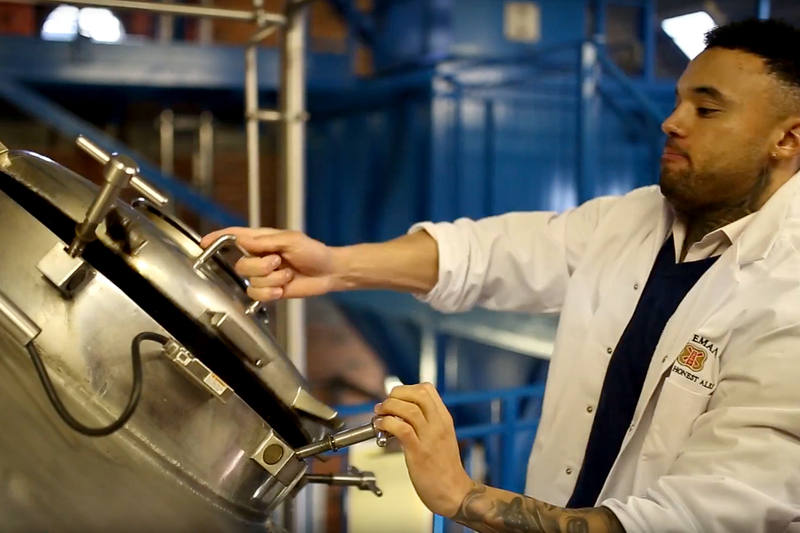 As fourth generation craft brewers, our adventurous streak is what keeps us thirsty for more. 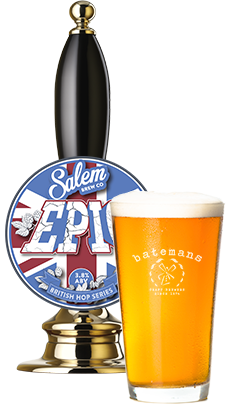 Being one of the first breweries in the UK to focus on small batch production, we’re proud to continue the tradition with Salem Brew Co and the ‘British Hop Series’ of beers. Single British hop variety beer. A light amber in colour with a hint of sweet honey and a spicy aftertaste from the Golding hops. Single British hop variety beer. 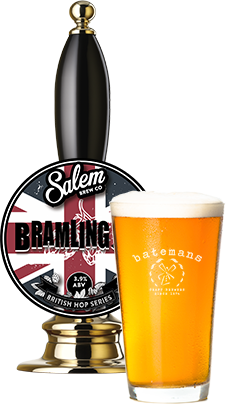 Light, golden ale with subtle blackcurrant and spice notes released by the Bramling Cross hops. Single British hop variety beer. 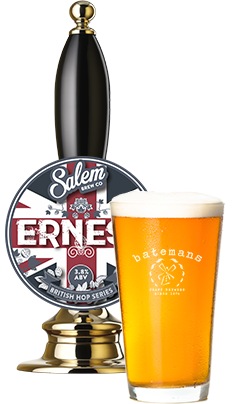 The Ernest hop brings a punchy citrus and exotic pineapple undertone to this golden session beer with a crisp mouthfeel. Single British hop variety beer. Lemon, citrusy ale to enjoy in the summer months. As the name suggests, the hops create an EPIC light golden Summer beer with citrus lemon notes and a hint of grassy bitterness. Single British hop variety beer. 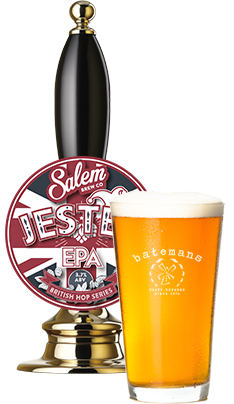 A sessionable golden EPA brewed with vibrant Jester British hops, which give hints of grapefruit and blackcurrant. Single British hop variety beer. A light amber ale brewed with the mighty, British Endeavour hop which gives the beer a subtle spicy aftertaste. 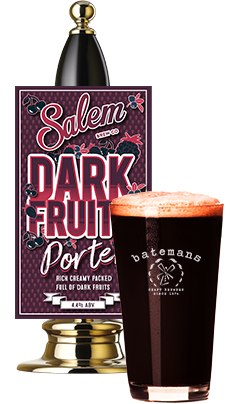 Black in colour and creamy in mouthfeel, this delicious Porter is packed full of delectable dark fruits for a sweeter finish in this rich, nutty, spicy beer.